Tiger has bases in Taiwan and now in the UK and produce a range of equipment for a wide range of lifting applications. With over 50 years in the industry, Tiger has a proven track record for its quality lifting devices and has afforded them a great reputation. All Tiger lifting products are, robust and reliable, using only the highest quality components which also give them high safety standards. Tiger have more recently developed more specialised lifting equipment which has been designed to be used in more hazardous areas. They have a range of ATEX rated products for explosion protection and spark proof lifting in hazardous areas. Tiger’s subsea range is quickly gathering a great following, with Tiger subsea devices being requested for repeated use in Norway for use on the Norwegian continental shelf, and across Europe in the marine industry. 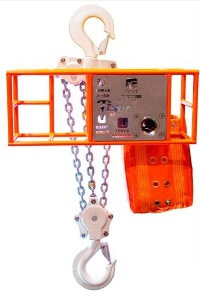 Their range of subsea lever hoists and chain blocks have passed stringent 3rd party testing which agrees they are suitable for multi-immersion use.